As a lifetime music lover, I was pleased to read this item on it value in the Harvard Health Blog by Julie Corliss, Executive Editor, Harvard Health Letter. One of my happiest discoveries in the past few years was a blue tooth speaker on a water bottle. I have my choice of over 1000 tunes on my iPhone to accompany me on the bike. Riding to music beats my previous soundless rides. What’s your “cheer up” song? That question popped up on a recent text thread among a few of my longtime friends. It spurred a list of songs from the ‘70s and ‘80s, back when we were in high school and college. But did you know that music may actually help boost your health as well as your mood? I thought this was an excellent explanation of good health in general and aging in particular. This article was first published in Rotary News on April 2018. There are two aspects to ageing. Your chronological age is the calculated number of years you have lived. Your biological or “real” age refers to the current condition of your physiological body at its very basic cellular level. These two are not necessarily one and the same. An individual may be chronologically 30, but might have the body and mind of a 55-year-old. He could be overweight, lethargic, with poorly conditioned muscles, poor memory, productivity and low stamina. He may be stressed, depressed, with a laundry list of medical conditions and pills to manage them. On the contrary, someone could be 50 years old chronologically but have an actual age of a 35-year-old in terms of energy, stamina, strength, and pure joi de vivre. I like this insight into paying attention to one’s heart rate. My Apple Watch has a heart rate monitor and I have used several in the past, particularly when I do stair climbing. Traditional Chinese Medicine has been tracking and making healthcare based decisions off of a persons heart rate for centuries (actually, even longer than that based on a lot of accounts!). This is because the rate, quality, and regularity of the heart beat is a direct marker of the state of your entire body…and since the heart rate is always present and easy to access, it’s a really handy thing to trend! Nowadays, heart rate monitors are often used as a marker of activity and calorie consumption. And while they don’t give you information on the quality of your heart rate, I believe they can be used for much more than just losing some fat. Not long ago I posted some logistical suggestions from Harvard on aging. Now comes the Mayo Clinic with some excellent internal insights. “As you age, your heart rate becomes slightly slower and your heart might become bigger. 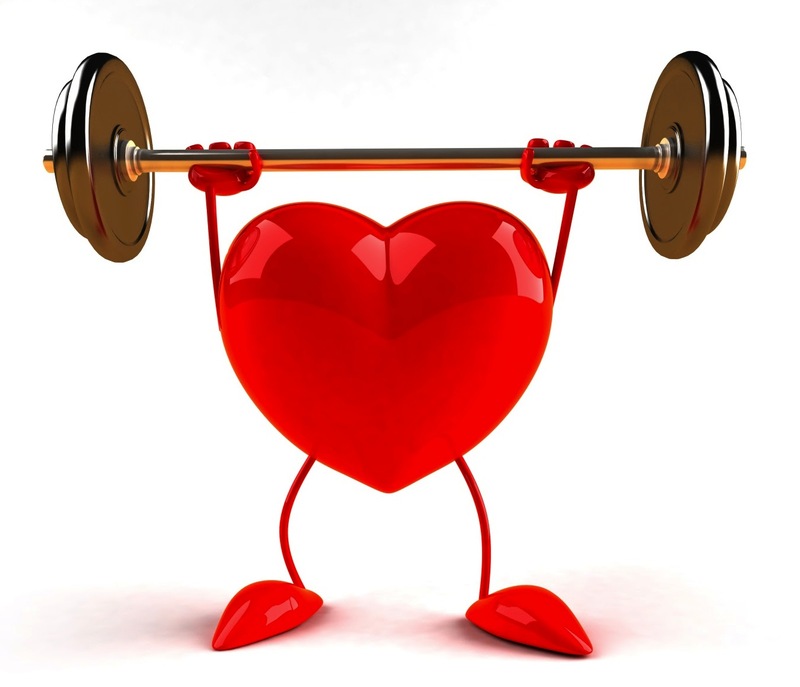 Your blood vessels and your arteries also become stiffer, causing your heart to work harder to pump blood through them. This can lead to high blood pressure (hypertension) and other cardiovascular problems. • Include physical activity in your daily routine. Try walking, swimming or other activities you enjoy. Regular moderate physical activity can help you maintain a healthy weight, lower blood pressure and lessen the extent of arterial stiffening. • Eat a healthy diet. Choose vegetables, fruits, whole grains, high-fiber foods and lean sources of protein, such as fish. Limit foods high in saturated fat and sodium. A healthy diet can help you keep your heart and arteries healthy. • Don’t smoke. Smoking contributes to the hardening of your arteries and increases your blood pressure and heart rate. If you smoke or use other tobacco products, ask your doctor to help you quit. It’s true that everyone already knows all of these but I think it is good to have them repeated by a reputable source to get us going in the right direction. 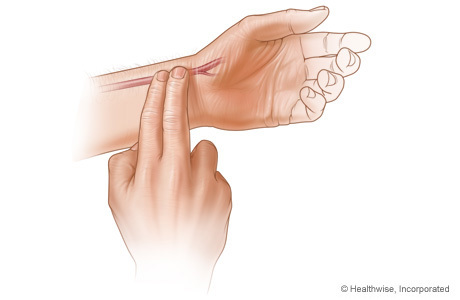 These are part of a Mayo Clinic page on healthy aging that covers bones, memory and other aspects of it. What is a Healthy Resting Heart Rate? One of the most important measurements we can know about ourselves is our resting heart rate. Yet most people don’t know it. They can give you their cholesterol count (usually the total, not the breakdown of HDL and LDL see previous post – How to Improve your cholesterol numbers), but unless the person has recently visited his doctor he will be stumped when it comes to his resting heart rate, or its relevance to his overall health..
WebMD reported, “For most people, a normal resting heart rate is between 60 and 90 beats a minute,” according to Edward F. Coyle, PhD. The professor of kinesiology and health education at the University of Texas at Austin and director of the university’s Human Performance Laboratory, says. “Athletic training can lower that rate by 10 to 20 beats per minute. Having written about flu season for the past few months, when I started getting head cold symptoms last week and got nervous. In addition, an arctic freeze struck Chicago which has kept me off my bike. I found that working out in the health club, I was feeling really wiped out from a light workout. I actually napped afterwards. That and the head cold symptoms were enough for me. I booked a doctor visit. Mr. Conservative wasn’t taking any chances. I had gotten my flu shot early, but didn’t want to take any chances. As I recommended to readers, I had gotten my flu shot early, but didn’t want to take any chances. You can read further on How to Fight the Flu elsewhere in the blog. 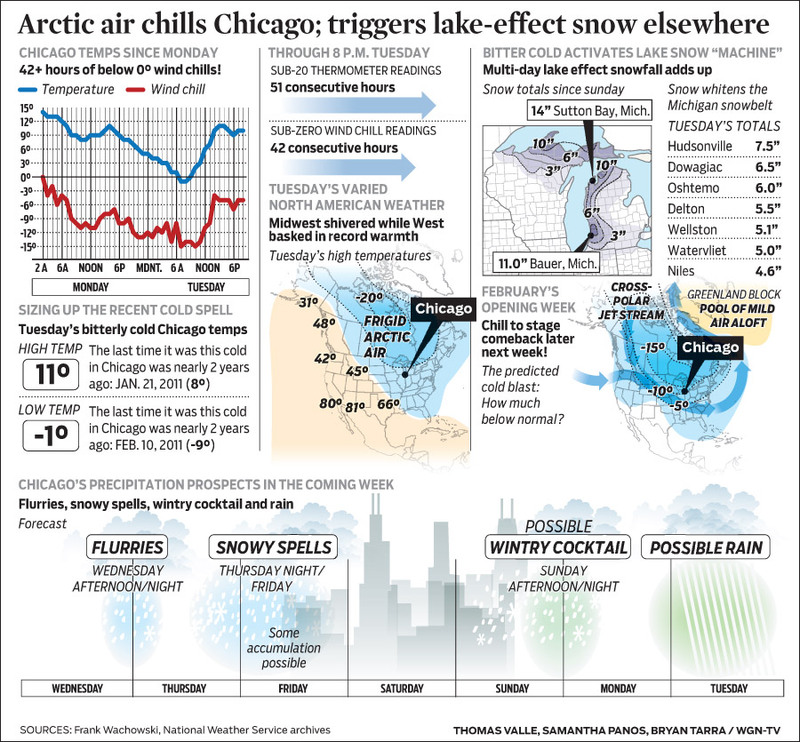 Here’s how bad the weather has been, “Chicago’s coldest blast of air in 2 years is easing—but slowly. By midnight Tuesday, the area moved into a 55th consecutive hour of sub-20-degree thermometer readings and 46 hours with wind chills below zero. Tuesday’s 11-degree high and 1-below morning low put the day into the record books as the city’s coldest of the past two years,” according to the blog of Tom Skilling, the awesome local meteorologist. Chicago has just gone 307 consecutive days without a one inch snowfall. That is the longest such spell in 54 years. And, might I add, most welcome to me as a bicycle rider. Because of this snow drought, I have been able to ride many more times in these waning days of December than I would normally. As a result, I will post my biggest total mileage for a year in my life in just three more days – over 8000 miles. As you can see from the photos, the snow looked kind of pretty falling on the Riverwalk. However, look closely at the second photo taken on the next morning. Those patches of gray and white are ice patches and diabolical for a bicyclist. A sheet of ice is very simple to navigate, you just get off the bike and walk it till you are past the ice. But, sporadic ice patches are a totally different story. When I ride, I try to keep my heart rate in the target zone. For a septuagenarian like myself that requires a speed of around 12 miles an hour. Doesn’t sound very fast when you imagine yourself in your car inching along at 12 mph. On a bike, though, you are traveling at about 17 feet per second. And you aren’t strapped in to a cushy seat. You have a helmet and you are flying through the air riding a pair of skinny wheels. As the guy who has fallen at that speed and broken bones, I can attest that it is fast enough to get into trouble.